Tiong Bahru — home to snaking lanes of hipster cafés, bakeries, post-colonial era buildings and streets named after philanthropists. 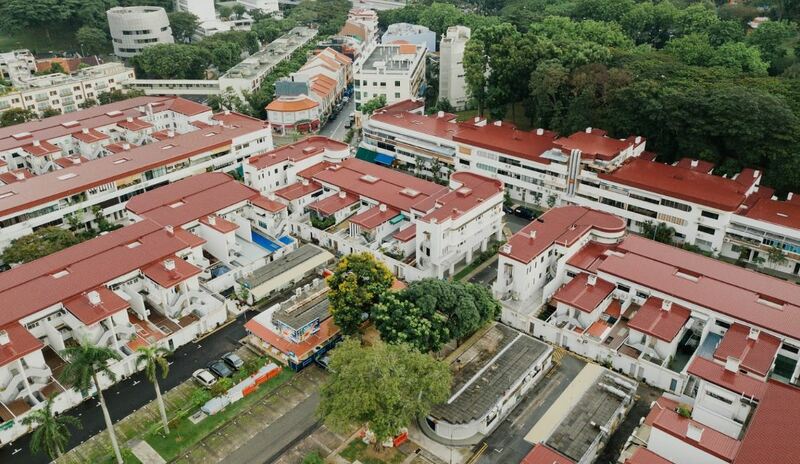 We often forget that Singapore’s first public housing estate is also home to actual residents. Given the influx of new businesses, the Urban Redevelopment Authority (URA) has decided to re-zone and specify which sites are allowed to host businesses. Some of them are reportedly operating “without approval”, but URA will be working with the owners and tenants to work out an arrangement “within a reasonable timeframe”. 28 out of 120 authorised businesses are operating on residential premises, but have obtained special “approvals” to run their business on the first floor, reported TODAY. These “approvals” include URA-issued Written Permissions dating back to the 1960s-70s, and leases issued in the 1940s by HDB’s predecessor, the Singapore Improvement Trust. 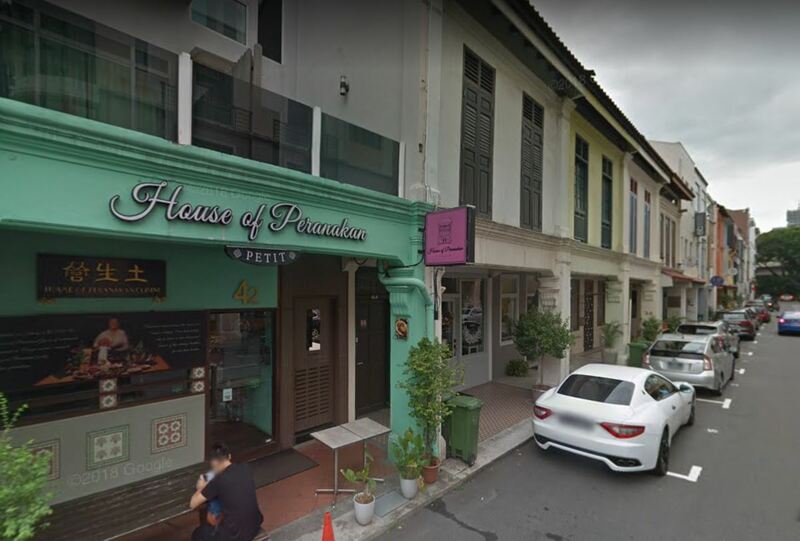 URA’s new policy, however, will now re-zone these premises as “residential with commercial use allowed on the first floors”. But long-time residents of the area can’t help but feel that this is not what they signed up for. 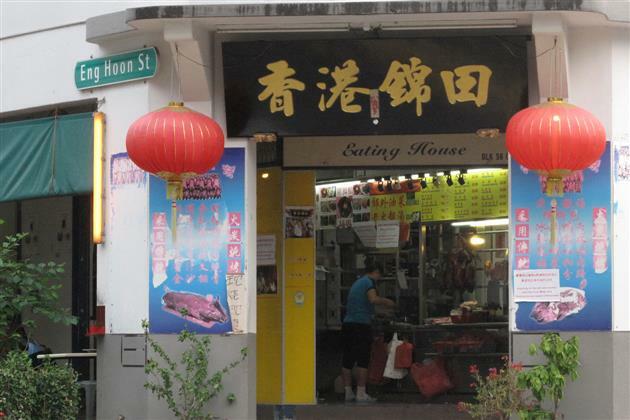 A Tiong Bahru resident who lived across Por Kee Eating House for 7 years pointed out that dinner crowds from the famous zi char eatery disrupt her evening routine every day. Her gripe is that with URA’s move to “legitimise” these stalls, it’s a way to justify the “noise they are making”. Other residents are worried that official approval for these business units will result in more visitors after office hours and weekends. 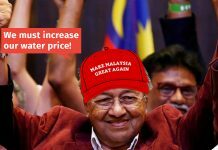 An Eng Wat Street resident added that “a massage place and a famous café nearby” draws massive crowds on weekends, which he’s “fine with”. However, guests should not be “parking on the reserved lots”, which are demarcated in red. He mentions that he’s sometimes “forced to wait up to 20 minutes just to park near his home”. Residents are also worried about the littering, i.e. cigarette butts and beer cans strewn outside certain bars. Apparently, such concerns were raised by residents to URA during a focus group session, but “there were no followups from the authority”. URA claims it spent 2 years monitoring the situation before deciding on this move. As a spokesperson revealed, the 28 units had already been operating for decades with approvals, and are “part of the estate’s fabric”. The move to re-zone the areas will thus “provide transparency on where commercial uses can be allowed”. Hopefully, this will mean that businesses will no longer “sprout out indiscriminately” across the residential estate. Cheaper rent could be a major draw for businesses affected by the re-zoning. 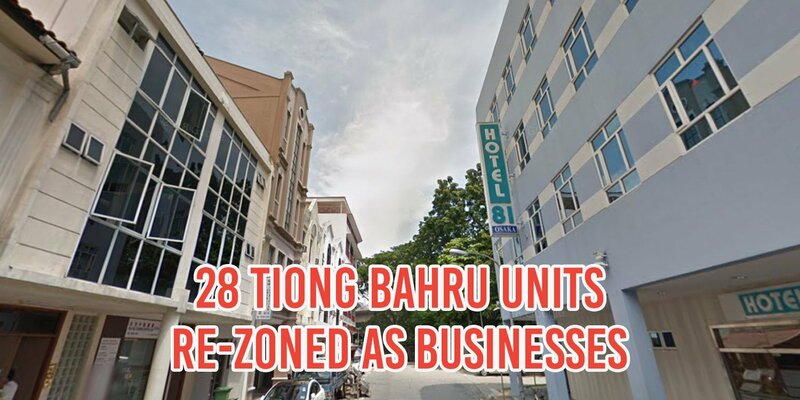 Typical commercial spaces cost $15,000 per month, while ground floor residential units popular in Tiong Bahru cost about $6,000 in 2015. Other shopkeepers also cited “heritage, culture, feeling, and art deco” as a reason for operating in Tiong Bahru. But many shopkeepers say they weren’t consulted about URA’s new regulations. Some opine that F&B outlets like bars and pubs could be shuttered to reduce noise pollution, while exceptions could be made for booksellers and artisans. However, residents continue to mourn older eateries like Hong Kong Jin Tian being edged out by younger establishments. The popular eatery announced its closure 4 years ago, as it struggled to keep up with rising costs due to the popularity of the estate. Clearly, Tiong Bahru’s predicament isn’t a simple one to resolve. URA has to strike a complex balance between helping small businesses flourish, while ensuring residents have a peaceful home to return to at the end of the day. Most of us can empathise with residents who’re unhappy that their needs haven’t been prioritised in the move to regulate businesses. But while the proximity of good cafés and businesses may provide convenience to residents, it’ll also inevitably draw more visitors to the burgeoning hipster enclave. The question is, at what cost? Joelynn loves writing plays & finger-combing her two precious bunnies. She also believes that two puns are better than none. Meritocracy In Singapore: Why Is It So Hard To Get Right?